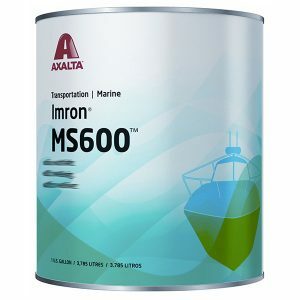 Imron MS600 paint is a high-performance single stage acrylic/polyester-based polyurethane topcoat. It is a coating designed to deliver excellent appearance and durability with ease of application. AXALTA IMRON MARINE FINISHES MS600 POLYURETHANE TOPCOAT – PART “A” ONLY Imron MS600 paint is a high-performance single stage acrylic/polyester-based polyurethane topcoat. It is a coating designed to deliver excellent appearance and durability with ease of application. 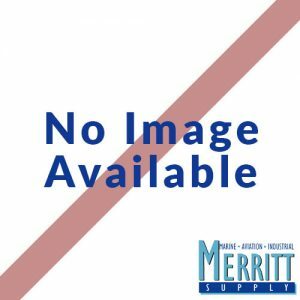 This high-solids topcoat has a ready-to-spray VOC of less than 3.5 lbs/gal. 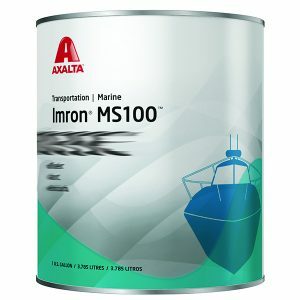 Imron MS600 is an air dry product recommended for above the water line marine applications where excellent appearance, durability, sag resistance, and ease of use are required. Imron MS600 is recommended for use with Axalta Marine Epoxy Primer, Corlar 18510S. Product is sold by the quart or gallon. Thoroughly mix Imron MS600 Color prior to activation. Filter activated material prior to spray application. Viscosity will be 16-19 seconds in a Zahn #2 cup.